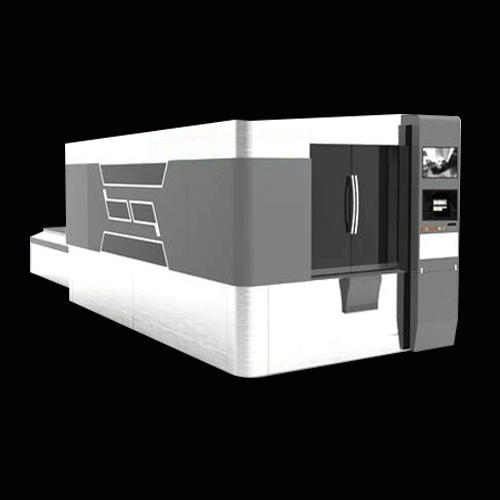 •Fiber Laser cutting is the fastest method of cutting thin sheet metals. •The cutting process is achieved with higher quality compared to other options. A “Clean Cut” surface quality is obtained. • Reflective materials like aluminum, copper and even brass can be cut with ease. • Excellent surface quality is obtained on mild steel up to 12 mm with a 2 KW resonator and up to 16 mm with 3 KW and 20 mm 4 KW. • Part process cost is very low. • Consumable part cost is low. The only parts that need to be changed are nozzles, ceramics and lens protection. Resonator life is over 100,000 hours. • Drives, encoders and rails have to be placed on precision surfaces. Even the slightest defects can cause serious damage to drives and encoders. To ensure this, the 3015 main body is machined perfectly on traveling column duplex CNC machines. • Encoders, linear motors and rails on linear mode machines, and rack & pinions and rails on servo motor machines, are machined on CNC machines with micron-rated precision. This is the foundation of the high tolerance processing achieved with all SIL Laser Machines.,• Small focus over large working distance,• Maintenance-free operation,• Modular ‘Plug & Play’ design,• Compact, Rugged & Easy to install,• Estimated diode lifetime up to 100,000 hours. 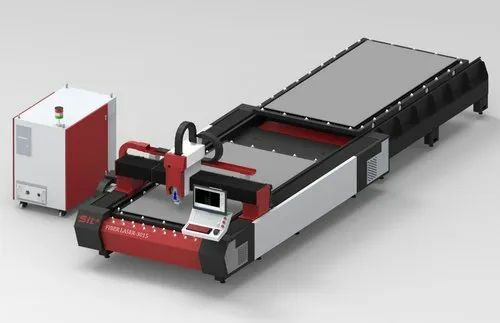 Laser Source ;The dynamic operating range of low-order mode kilowatt class fiber lasers is available from 10% to full power with no change in beam divergence or beam profile throughout the entire range. This allows a single laser to be utilized for both high and low-power applications. 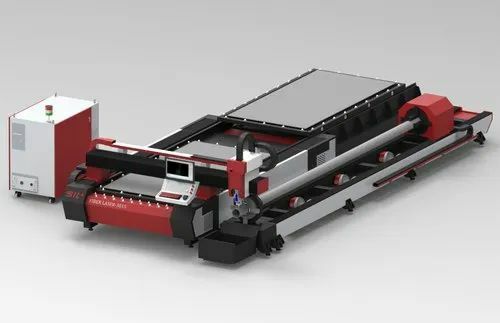 Fiber Lasers divergence specifications are far superior than other Laser machine types and allow the use of long focal length processing lenses for vastly improved depth of field, less damage to optical components. The units can be supplied with fiber lengths to 100 meters, different fiber diameters. Fiber lasers have a monolithic, entirely solid state, fiber to fiber design that does not require mirrors or optics to align or adjust and are typically smaller and lighter in weight than traditional lasers, saving valuable floor space. • Efficient cutting of square and rectangular section with a slide way mounted cutting head. • Low noise levels and the very best cut quality. • The optimum working parameters for the best possible machine performance. • The material feed system and vice geometry assure the most positive clamping of the material during the cutting cycle whether the material is thin wall delicate tube or tough thick wall tube. • During the material feeding process, the material is lifted away from the vice bed and vice jaws to prevent the material surface being marked or scratched. 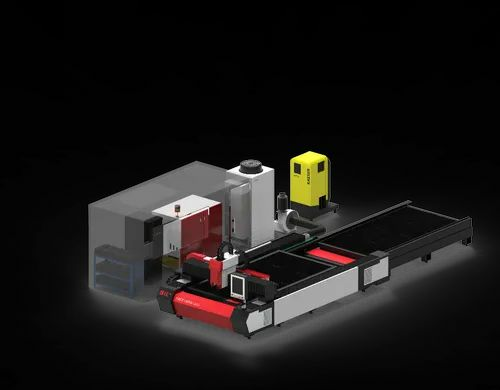 • Cutting line has been designed to operate either as standalone system or fully integrated in a complete automatic line controlled by one CNC programming unit. Fitness equipment, sporting goods, petroleum pipelines, construction machinery, ­passenger car manufacturing, Locomotive manufacturing, agriculture and forestry machinery, special vehicles, households appliances manufacturing, laser external processing services and other machinery manufacturing pipe process industry. · Hiwin Linear Guide rail with stable and high precision transmission. · DSP based controller for offline work with 32mb file space. 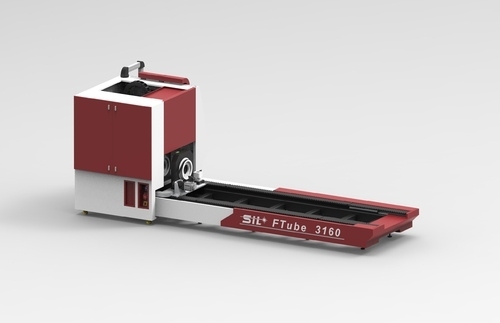 · Fixed Optical path system ensures consistency of cutting. We are offering Acrylic Laser Cutting Machinesto our client. 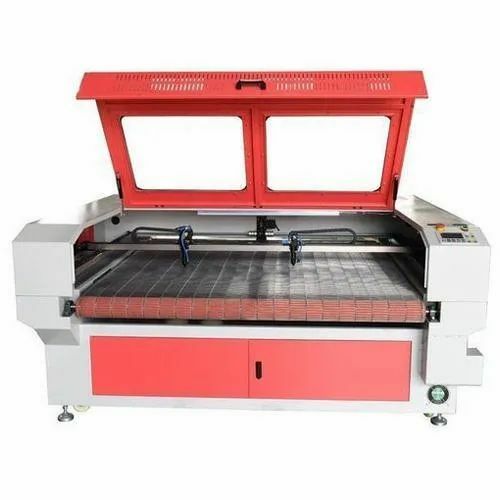 The latest laser technology of Fabric Laser Cutting Machine allows clear processing of cutting, engraving and marking. 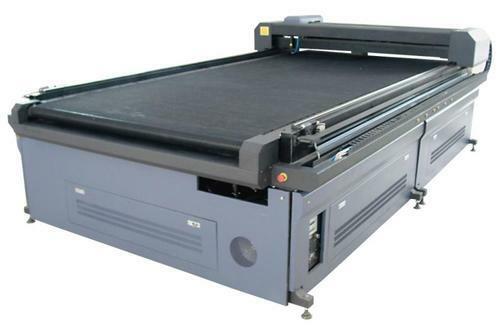 It not only suited to post-processing of large format imposition printed work, but also required in doing short run printing jobs. This machine work as a red light positioning device and show high speed curve cutting. 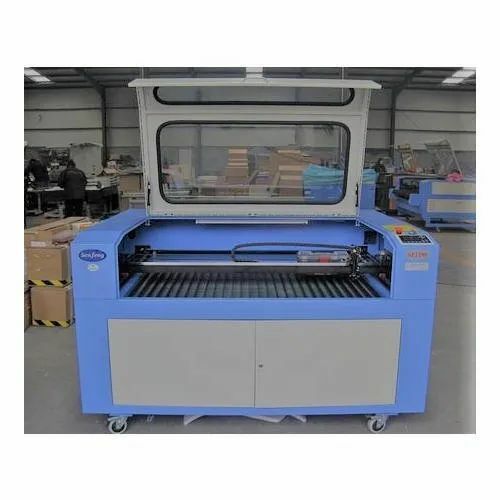 Our rich industry experience in this field enabled us to provide a wide range of MDF Laser Cutting Machine to our reputed clients. The offered products are widely applicable and demanded in various industries. Raw material for these products is sourced from authentic suppliers of the industry who are famous for their product quality. Further, it is verified on different quality parameters before being delivered to our customers. 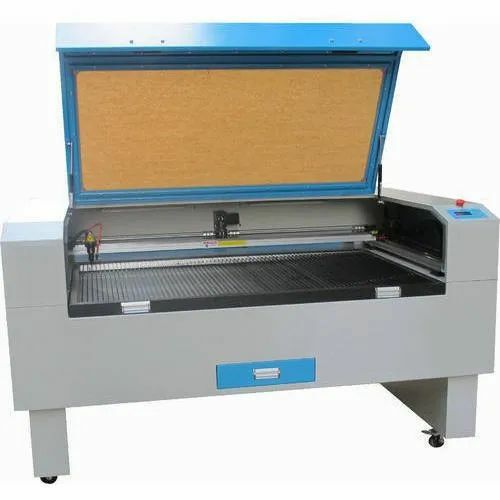 Looking for “Laser Cutting Machine”?